In writing memorials for our community website, one knows it is only a matter of time before you must write one for a dear family member. Emily Bryant had kindly prepared the lovely tribute to my mother back in 2012. The other challenge for me now is to write a piece on someone who would not want me to be too showy in my praise. When I reflect back on a woman I have known my entire life, who I grew up next to and who was my second mother, it is difficult to narrow down the many wonderful memories and qualities that I cherish. She represents a generation that is all but gone from our lives. The Murray Diaries written by Hilda’s grandmother offer insight into what built this generation of strong and steady folks, not easily knocked down by events or influenced by trends. They knew where they came from and their values, they knew their relations from near and far and they abided by their faith at all times. They were born at the end of The Great War and lived through The Depression and World War II. They were there for each other during times of celebration and times of sorrow. They saw unprecedented growth in technology and medical advances but never lost sight of the difference between a need and a want. They considered life to be a precious gift. Aunt Hilda’s mother Katherine lived until she was 100 years old, having descended from strong MacDonald genes, the same as my mother and their long-living cousins. Hilda’s father, Wallace Murray, died when she was nine years old. I had the honour of transcribing 5 of the 15 years of Murray diaries (1911-1926) that recounted her father’s daily life which she joyfully read. I still recall the time she came over to scan and enlarge a small family photo when she had a chance to see the face of her father and she kept it framed in her bedroom from then on. Aunt Hilda was my mother’s first cousin, their mothers, Katie and Janie, were sisters. The two families were very close. They lived directly across from each other, one on the Clyde River side and the other on the Meadowbank side of the river, and as kids, they would run down to the bottom of the fields to talk across the water. As young women, they married brothers Arnold and John Beer, so we children, Blois, Doreen and I, were double relations and neighbours to their children Donna and Fred. Cousins and sisters-in-law Hilda and Hazel enjoyed working and raising their families on a farm, were members of Burnside Presbyterian Church, participated in the Missionary Society and were life members of the Clyde River Women’s Institute. The W.I. ladies remember Hilda as a dedicated, graceful and humble worker – beautiful inside and out. She was true to the Mary Stewart Collect. She preferred to be in the background, but her quiet strength was a great source of wisdom. She was a wonderful baker and took pride in the presentation of food and arranging things to look nice. 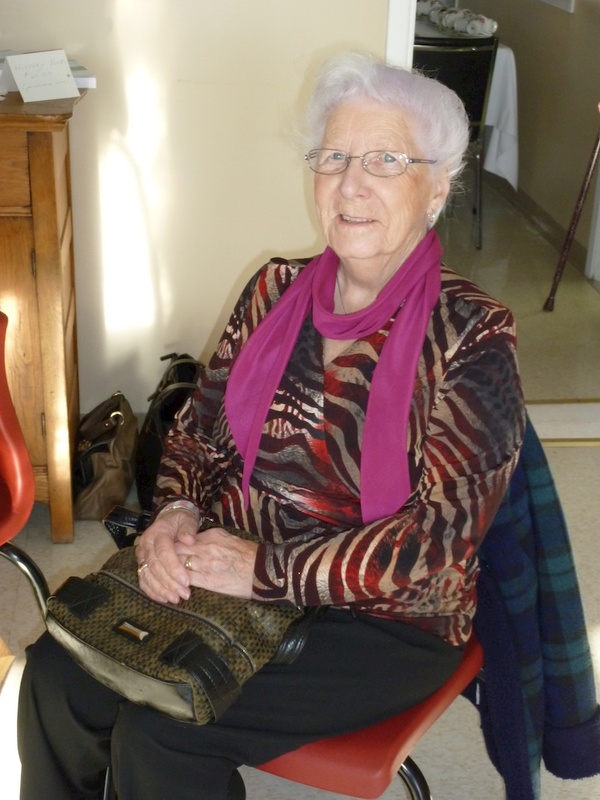 Audrey MacPhee recalls Hilda then in her 90s arriving at the Centre with her basket over her arm which held goodies for the Strawberry Social, even though it wasn’t expected, and her saying “Oh, it’s not much”. Also, in her 90s, she came both days to the Apple Pie Festival and “crimped to perfection” dozens and dozens of pies, all the while enjoying the camaraderie of other community volunteers and instructing young helpers. Hilda believed in living a healthy lifestyle. She ate organic vegetables from her own garden before it was popular to do so and walked every day that she could. She and Uncle Arnold only retired from farming in their early 70s but continued a regimen of daily walks to the back fields of their property. They graciously hosted many visiting Beer, Darrach, and Murray relatives; church guests; and family gatherings at their home. After Uncle Arnold’s passing in 2001, she spent winters in Charlottetown but enjoyed summer retreats back at her country homestead. We enjoyed visiting her there and she always had delicious cookies. She was blessed with great health up until a year ago when she developed Fibrosis which compromised her breathing. Her mind and memory were intact. 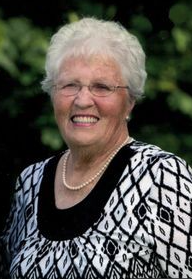 She was a valuable resource on Clyde River history projects and attended many of the historical lectures and events along with her daughter Donna. Hilda was proud of her family – Donna (Glydon) and Fred (Jeannie), her grandchildren Joelle (José), Jason and Jeff (Mariska), and she was especially blessed to live long enough to see her great-grandchildren Jonas, Jorgia, Henry and Matilda. Each one of her family has a knitted afghan that she lovingly made for them over long Island winters. Aunt Hilda was part of a generation of solid folks that offer great examples of how to live life well. Former long-term Clyde River resident Ralph MacDonald has passed away. Ralph grew up and lived for many years on what is now called Herlihy Drive and had worked at the Experimental Farm. Recently, he has been living at Whisperwood Villa with his wife Ora (Ballem) MacDonald in Charlottetown. His only sibling is Florence Diamond who lives in Winsloe. He is predeceased by his parents Daniel and Esther (Chowan) MacDonald. Ralph has many relatives in Clyde River including first cousins Hazel Beer, Lorne MacLean, Hilda Beer and the late Lloyd Murray. 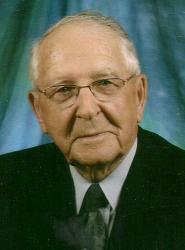 Clyde River lost a good friend on Feb. 1, 2011 when Lloyd A. Murray, the community’s oldest life-long resident died. Many feel the loss of a fine friend and neighbour. Lloyd was respected by everyone, and we remember him with thanks and admiration. Lloyd was known for his kindness, interest in his family and community, and faithfulness to his church. With wonder, neighbours marvelled at Lloyd’s practice of driving to Cornwall every morning to check out the day and buy a coffee – pretty impressive at 95. With humbleness, calmness and strength of character, Lloyd adjusted to changes in his life and found something positive in whatever life brought his way. Lloyd Murray was born in 1915, so one can only imagine the changes he saw throughout his lifetime. When he was only 13, his father Wallace died, leaving his mother Katie and three children Lloyd, Everett and Hilda. Lloyd took over the farm at this young age and worked hard for many years, taking care of this land and raising dairy and beef cattle. Lloyd Murray also drove the mail and, for years, he and his wife Alma were caretakers of the school next door. He housed many a horse while the owners attended a function at the hall, school or church. The Murray farm overlooks the Clyde River, and for 95 yrs., Lloyd lived in the historic plank house and watched the tides and the sun rise and set over the River. He had a keen memory and his insights added credibility to the writing of the Clyde River history (2009). Lloyd married his dear wife Alma (nee MacPhee) in 1936 and they had two children. Joan and Byron. Alma died in 2008 and Lloyd deeply missed her. “Bamp”, a much-loved grandfather to Pam, Kerrilee, Patricia, and Jocelyne, was thrilled by the arrival of 6 great-grandchildren. He was grateful for the kindness shown by his family and spoke highly of his children, grandchildren and their spouses. Lloyd’s sister Hilda Beer still lives in this community and they were very close. His only brother Everett died in 2002. His sister-in-law Irene lives in Charlottetown. At Mr. Lloyd Murray’s largely-attended funeral, Rev. Steven Stead’s words highlighted the goodness of this respected man. The ladies of Burnside Presbyterian Church were pleased to provide a reception following the service, and this time gave Lloyd’s family, friends and neighbours a chance to honour Lloyd in the church he loved.